If we’re being honest with ourselves, Damon Wayans was often the un-funniest of the collective that was featured on the groundbreaking sketch comedy show In Living Color. A quick scan of his signature characters--“Blaine Edwards” (from the Men On...series), ”Handi-Man”, “Oswald Bates”--finds a comedian whose basic contributions to the show trafficked in homophobia, and comedy at the expense of the Physically Challenged (we can also put the “Head Detective” in this category) and those who are victims of the carceral state (and the educational system). It should not come to any surprise that it is Wayans--who is more in line generationally with Bill Cosby than say W. Kamau Bell--who so emphatically came to Bill Cosby’s defense with a screed that is more reprehensible than any of Wayans’ offensive routines. Not only did Wayans dismiss the accusations of Cosby’s more than 40 known accusers, he depicted Cosby’s accusers with a level of misogyny that even some of Cosby’s defenders might find problematic. I assume Mr. Wayans thinks he was being funny; he was not. In Living Color found cultural gravitas in its challenging of respectable notions of public representations of race, gender, and ethnicity in the early 1990s; that it did so from distinctly Black and Hip-Hop inflected sensibilities is what powered its popularity, and eventually invited a level of scrutiny and policing from its network, that seems quaint by current standards. 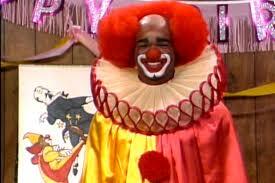 At the center of show’s vision was Damon Wayan’s character “Homey the Clown,” which served as the vehicle in which Black grievances against White Supremacy could be lodged and reparated with a swift bonk on the head from a flour-filled sock. But Wayans has even less credibility than he did as an up-and-coming comic more than a generation ago. Hollywood good looks aside, Wayans has been left behind by a generation of his peers, including Chris Rock, Jamie Foxx (an In Living Color alum), Tracy Morgan, and even his younger brothers Shawn and Marlon. Wayans’ comments about Cosby’s accusers are the ramblings of the doddering old uncle, who is sitting by himself in the corner, looking for an audience. Damon Wayans is low hanging fruit. There is real work to be done in this nation, regarding violence against women; paying attention to clowns is not part of that work. Mark Anthony Neal is Professor of African & African American Studies at Duke University, where he directs the Center for Arts, Digital Culture, and Entrepreneurship. He is the author of several books including Looking for Leroy: Illegible Black Masculinities (NYU Press, 2013).